A beautifully decorated gravel driveway can transform your property from something perfectly acceptable to something stunning and exclusive. A beautifully decorated gravel driveway can transform your property from something perfectly acceptable to something stunning and exclusive. They make quite attractive access roads with a casual curb appeal. Gravel driveways remain perennially popular for its aesthetics as well as relatively low cost unlike other alternatives. Pavelink Driveways’ experts can install gravel driveways in minimum time without causing much impact on the area. We understand that installation of gravel pathways should be followed by a proper drainage planning to lessen maintenance expenses. Therefore, our experts run a thorough check, ensuring that the driveway is ready for installation. Generally, 6-10mm gravel is used for pathways, whereas 10-20mm is employed for driveways. 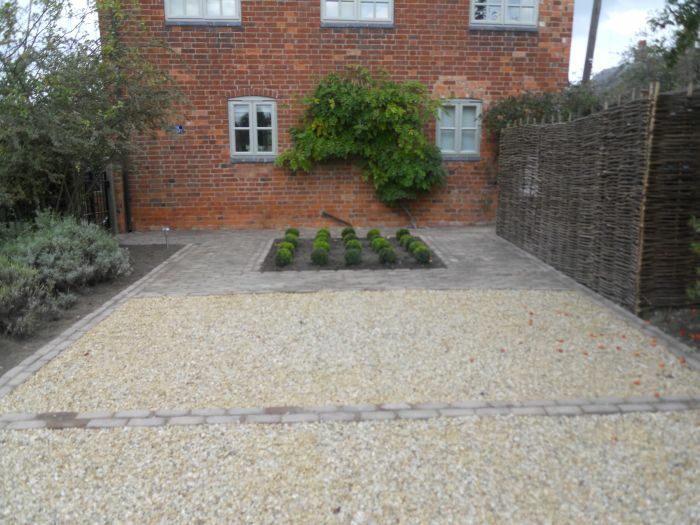 Our gravel driveways are created in a range of finishes and budgets. Inspection of your property allows us to figure the right gravel that matches your home’s stonework. Our gravel driveway Dublin is permeable by nature, very economical, available in many sizes, shapes and colors as well as suitable for both modern and traditional properties. Gravel driveway installation is good for security too, as you can always hear people coming or going. Landscape stakes along with twine and string are used to define the area of the driveway, from where it will take the curb to its end point. The next would be to remove the grass and the topsoil. Well, this is quite a labor-intensive job. However, to quicken the process we use some advanced tools, too. Having done this, the gravel driveway installers calculate the quantity of stones required. When considering the layers of gravel, we make sure that it is at least 3”-8” thick. Most homeowners ignore the edging material required for the driveway as they fail to realize that it not only contains stones but also acts as a decorative border. We suggest the best edging material that adds more glamour to the entire gravel driveway installation. We use technically sophisticated construction methods, guaranteeing that the gravel stays in its place. At, Pavelink Driveways, the professionals offer initial consultation to advise you on the different types of gravel finishes, based on the property you have. Additionally, a free quotation can be provided on request. There are many businesses who claim to provide maintenance free gravel bonded driveways. But do you really think it is possible? In reality, there is no such driveway material that can be maintenance free. Practically, concrete will require occasional cleaning as well as sealing. And if no polymeric sand has been used, then the paver will need joint filling. As for asphalt, it should be sealed and tar needs to be re-applied. We don’t guarantee maintenance free gravel installation, but make sure that the maintenance concerns lessen. Pavelink Driveways specialists believe that it is achievable only by implementing proper installation techniques. Grading, being one of the most important parts of the maintenance process, we use the best of equipments to scarify the gravel. Please also visit our imprinted concrete page or if need any sealing products or just simply some groundwork get a free quote today!